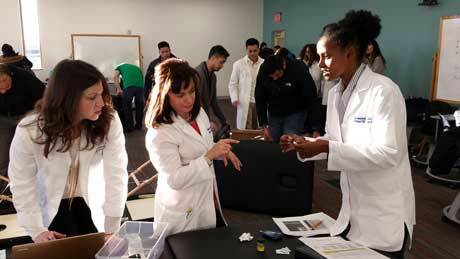 Students in one of the new classrooms conduct blood glucose measurements during a Physical Assessment Class today. 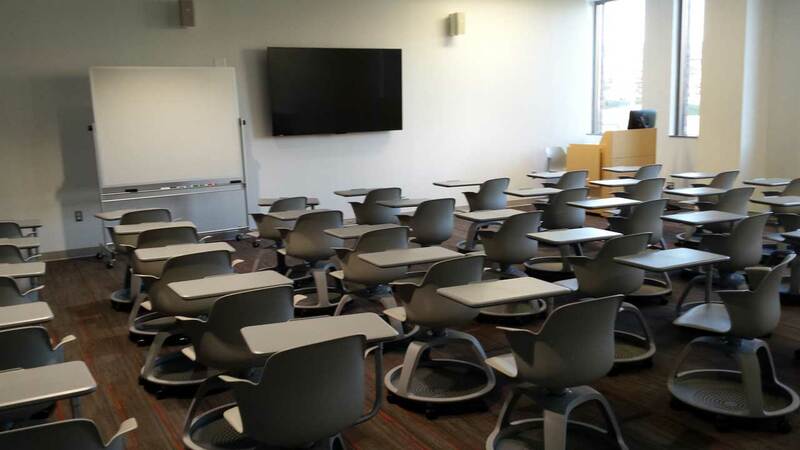 Spring semester kicks off today with the opening of three new classrooms at GW’s Virginia Science & Technology Campus (VSTC).These newest additions are part of the 6,900 square foot build out on the first floor of Discovery Hall. This latest phase of construction transformed the space into a variety of flexible academic and student gathering areas. The first floor now includes a large classroom designed for groups up to 75 and a medium classroom for up to 35. The latest phase of construction transformed the newly constructed space into useable academic and student gathering areas. 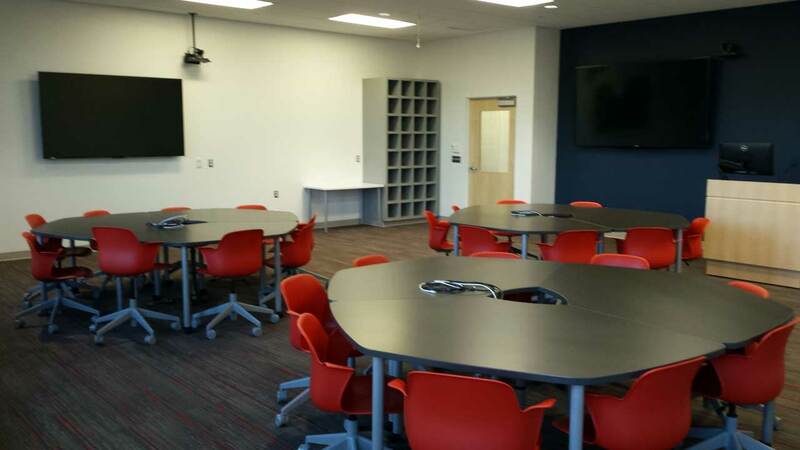 Additionally, there is a 27-seat physics “SCALE UP” lab, a flexible learning space promoting hands-on learning in a group environment. Physics classes will be held in this space along with other classes that will benefit from the uniquely reconfigurable environment. 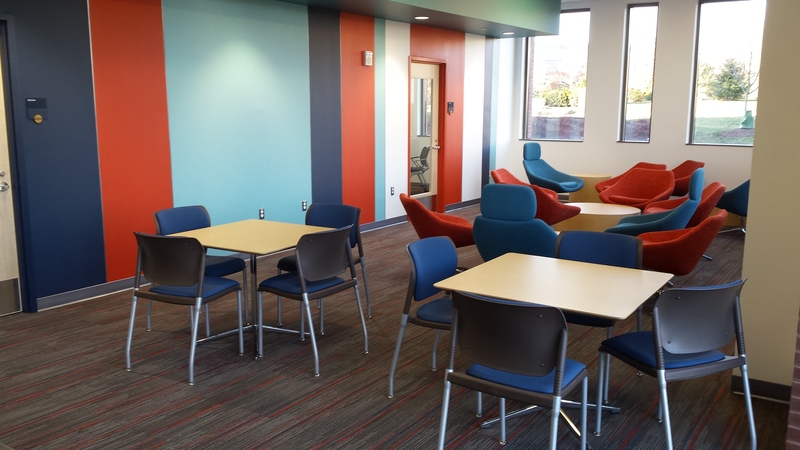 There is also a new student lounge, a kitchen, two small conference rooms and related support space. 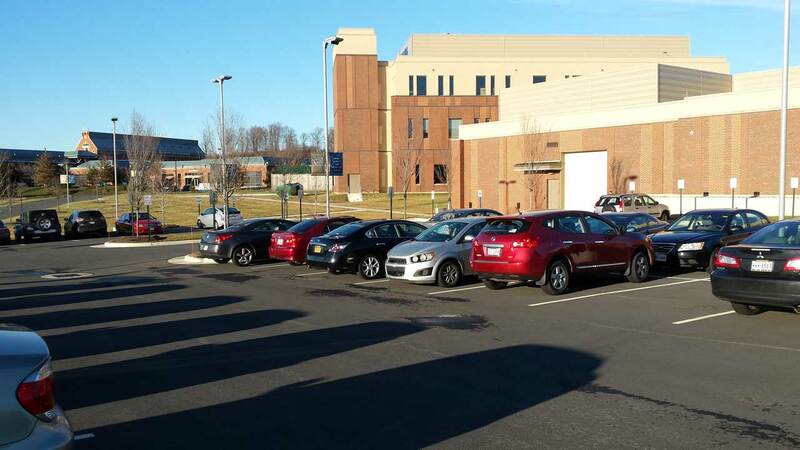 The project, totaling more than $1 million, was jointly funded by VSTC and the School of Medicine and Health Sciences. 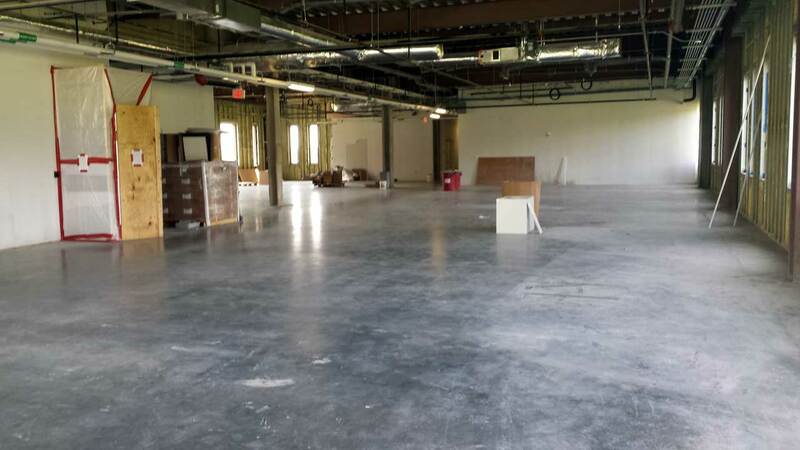 Previous construction phases included build out of the second floor of Discovery Hall into 7,000 square feet of teaching wet labs and related facilities as of April 2015. It now includes three teaching labs for biology and chemistry, a construction project valued at more than $3 million. 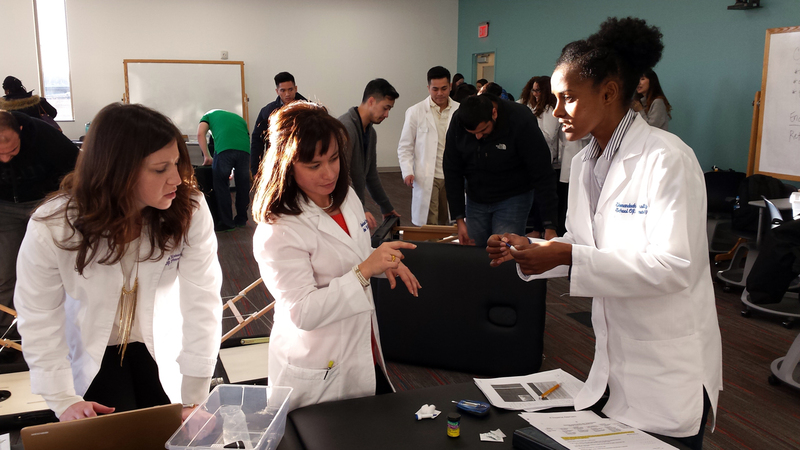 The new teaching labs are facilitating expansion of health science programs, such as the Post-Baccalaureate Pre-Medicine certificate program. Overall, the three-story Discovery Hall contains 21,000 square feet and is connected with a common lobby to the separate one-story 23,000 square foot building currently known as the Conservation and Collections Resource Center (CCRC). The CCRC is a state of the art support facility for The Textile Museum collections, GW's fine art collection, and the Albert H. Small Washingtoniana collection, comprising historic documents and maps related to the founding of Washington, D.C. Discovery Hall first floor shell space before the construction began. Exterior shot of Discovery Hall in January 2016. 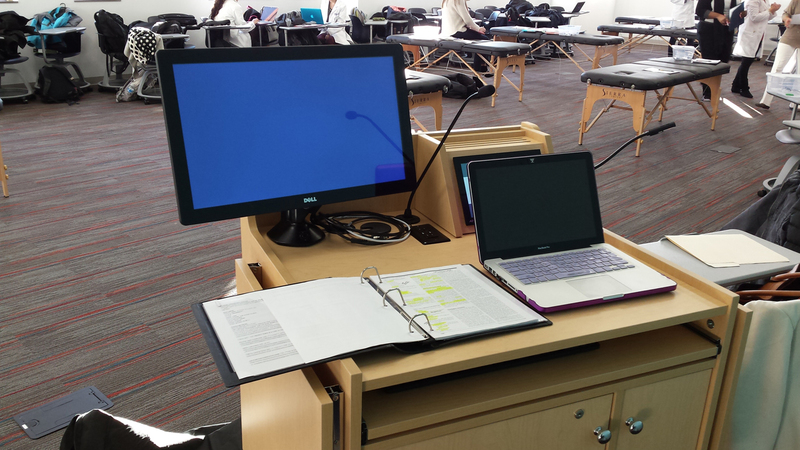 Instructor station in Discovery Hall's new 75-seat classroom. 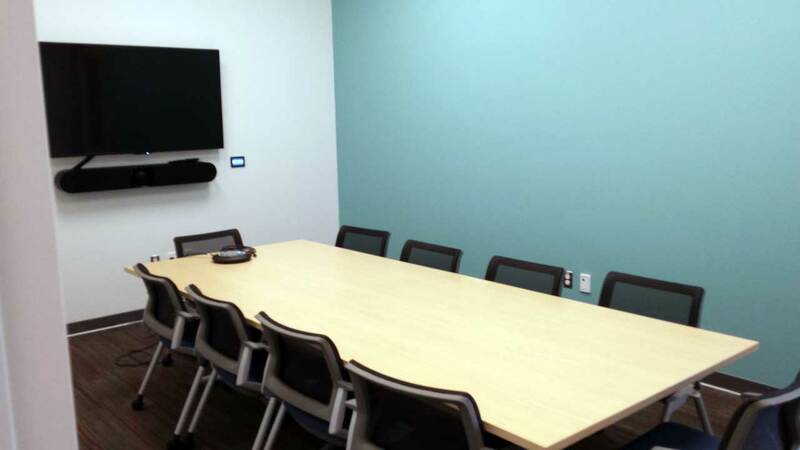 This room can be set up in a traditional lecture format or transformed quickly into a multi-purpose space. 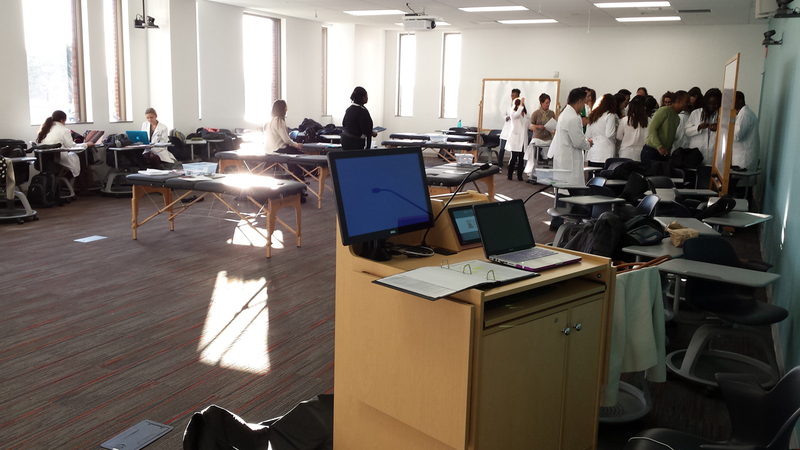 Students using the new 75-seat classroom set up in a multi-purpose format for a Physical Assessment Class. 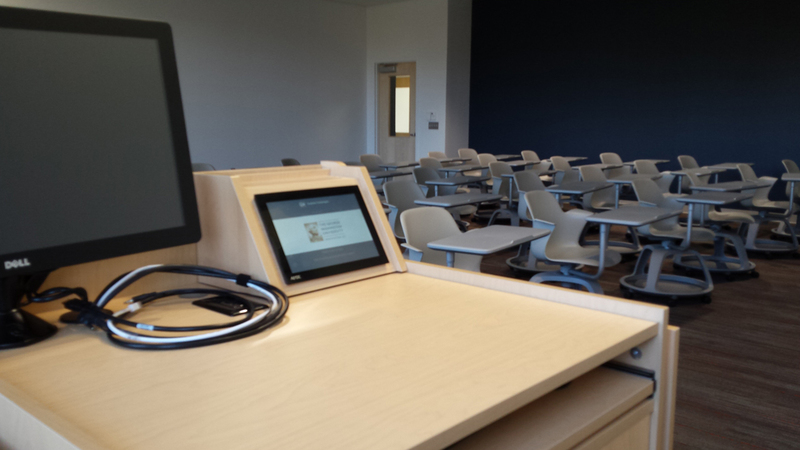 New 35-seat classroom on the first floor of Discovery Hall. 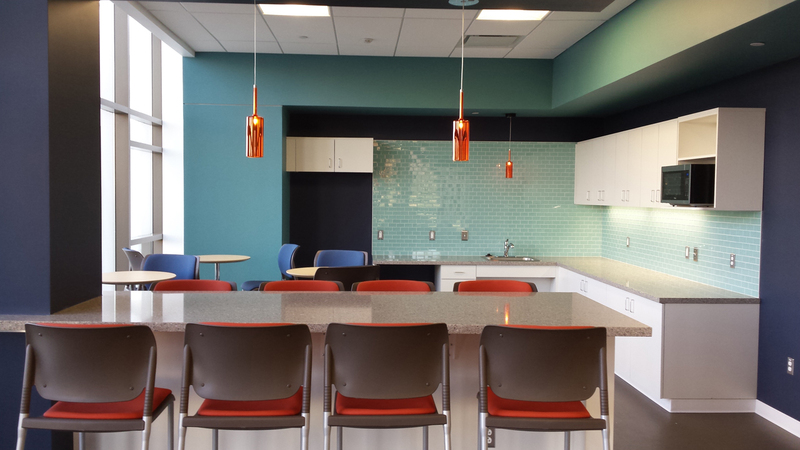 Kitchen area on the first floor of Discovery Hall, adjacent to the lounge. 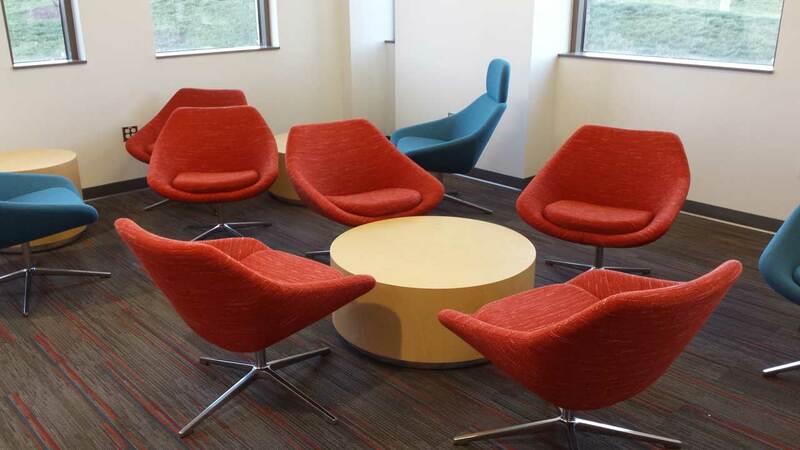 Lounge area on the first floor of Discovery Hall.